Meet fun, furry animals, hear a special storytime, and participate in a themed craft or activity, every last Friday of the month from 11:00am to 12:00pm. Each Fun Animal Friday features a different theme and animal. Fun Animal Friday is part of the Museum’s mission to provide hands-on educational experiences for children to learn about our world. 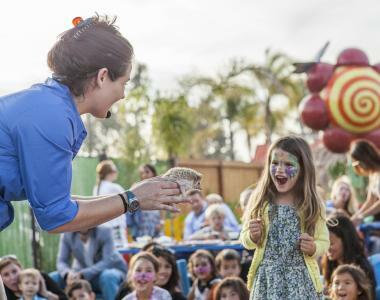 The opportunity to meet animals inspires curiosity and learning about animal science, along with a guided educational workshop to add context and new information for discovery. Repeats every month on July, August, September, October, November, December on the last Friday until Sat Dec 29 2018.